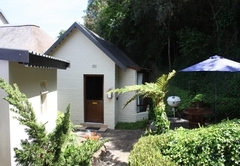 Cloverleigh Guest House is a highly recommended guest house with self catering option, providing accommodation in Wilderness for tourists visiting the Garden Route region. 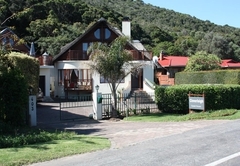 Cloverleigh is situated on the edge of the Wilderness Lagoon in the heart of the Garden Route of South Africa. 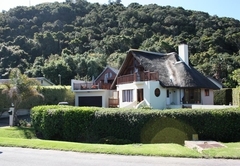 A short walk along the boardwalk takes you to the beach. 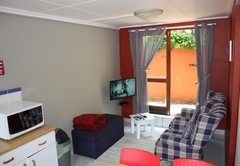 We are also easy walking distance from the shops and restaurants. 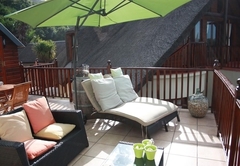 We offer four thatched cottages, with private entrances and a two bedroom family unit. 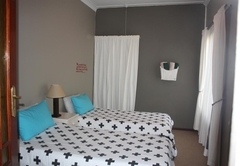 The Family Unit is a four-sleep unit and has two bedrooms with two ensuite bathrooms (shower only). 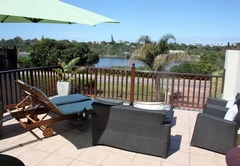 It has a fully equipped kitchenette and lounge and a private outside seating and own braai. 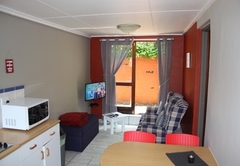 This Unit has DStv and free W-iFi. 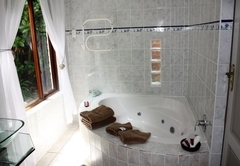 The Honeymoon room is a large double room and has a bathroom with shower and Jacuzzi bath. 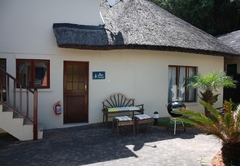 It has a fully equipped kitchenette and a private outside seating with braai. 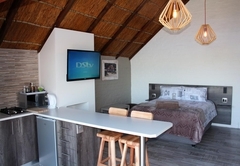 The room has DStv, a 49” LCD-Tv and free Wi-Fi. 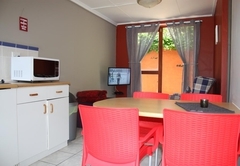 Breakfast is available at additional cost. 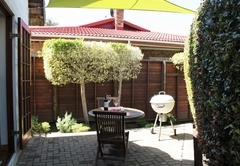 This is a freestanding room in the garden with a private entrance and is tastefully decorated. 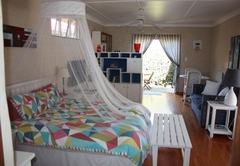 The room sleeps two people in a double bed with en-suite bathroom with a shower. 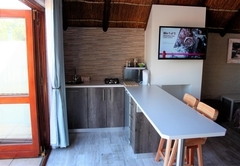 It has a basic kitchenette, DStv, a 32” LCD-TV and free Wi-Fi. 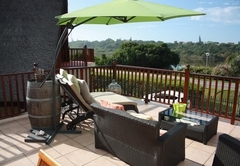 The room has a private outside seating with own braai. 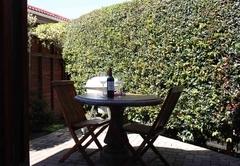 Breakfast is available at additional cost. 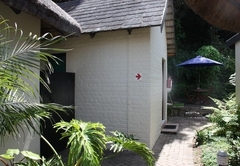 Forest Cottage is a freestanding room in the back of the garden with private entrance. 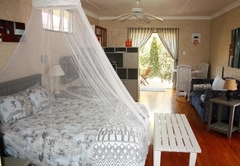 It sleeps two people in twin beds and has an en-suite bathroom with a shower. 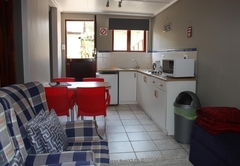 There is a fully equipped kitchenette, DStv and free Wi-Fi. 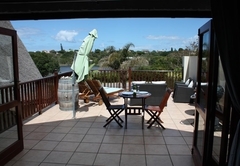 The room has a private outside seating with own braai. 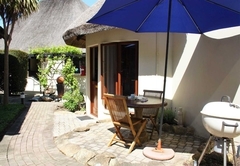 Breakfast is available at additional cost. 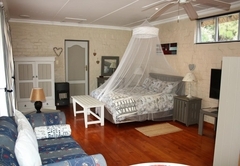 Cloverleigh Guest House allows you to choose between a self catering or Bed & Breakfast option. 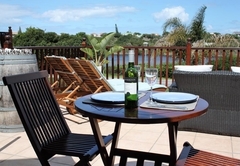 Enjoy a lovely breakfast on the deck with views over the lagoon. Wilderness is a birding hot spot. 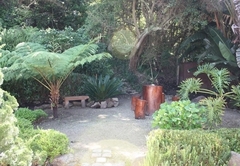 In our garden at the edge of an indigenous forest you can enjoy bird watching, peace and tranquility. 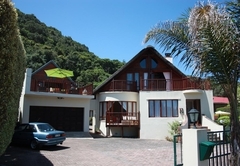 Cloverleigh is an ideal base from where to explore the many beauties of the Garden Route. 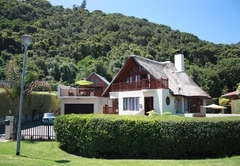 We have an excellent knowledge of the Garden Route and the surrounding areas. 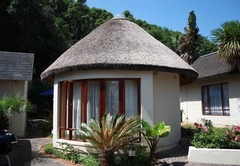 We will help you plan your daily trips and the rest of your holiday. 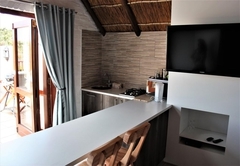 This self catering studio overlooks the lagoon and has a spacious 35sqm private terrace, braai facility, Dstv and free WiFi. 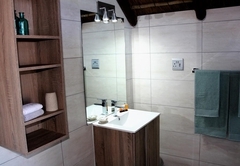 Queen bed kitchenette and en-suite bathroom (shower only). 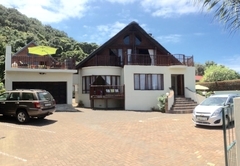 Freestanding with separate entrance and private terrace. 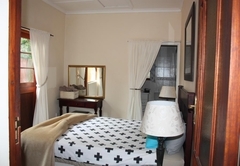 Twin beds, kitchenette and en-suite bathroom (shower only). 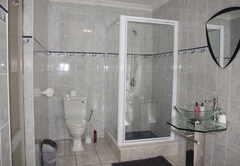 Freestanding unit with separate entrance and private terrace. 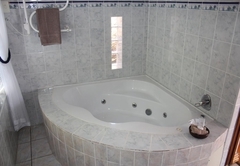 The Family Unit can accommodate up to 4 persons. 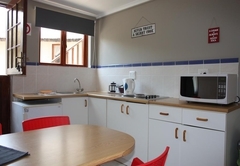 It has a kitchenette and two bedrooms. 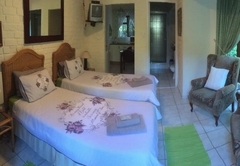 1 room has a queen size bed and the other has single beds, en-suite bathrooms (shower only). 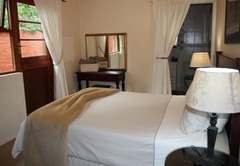 We had an exceptionally pleasant and comfortable overnight stay, and were made to feel most welcome. Breakfast was excellent. 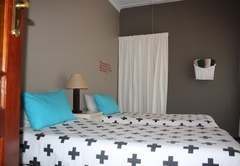 Response timeCloverleigh Guest House typically responds to requests in 5-10 minutes. 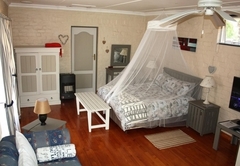 Child policyChildren over the age of 6 are accommodated in the Family Unit only.